Author and journalist Frances Dinkelspiel will discuss her new book, “Tangled Vines,” on Thursday, September 24 from 7 to 9:15 p.m. The book tells the story of the destruction by arson of more than $250 million worth of wine in a Vallejo warehouse in 2005, in the context of the long history of crime and violence in California vineyards, including those of the author’s great-great grandfather I.W. Hellman. Dinkelspiel is the author of a Hellman biography and co-founder of the news website “Berkeleyside.” The event will be at the UCB Institute for Research on Labor and Employment, 2521 Channing Way (just east of Telegraph Ave.). Parched! Coming up on Oct 24! 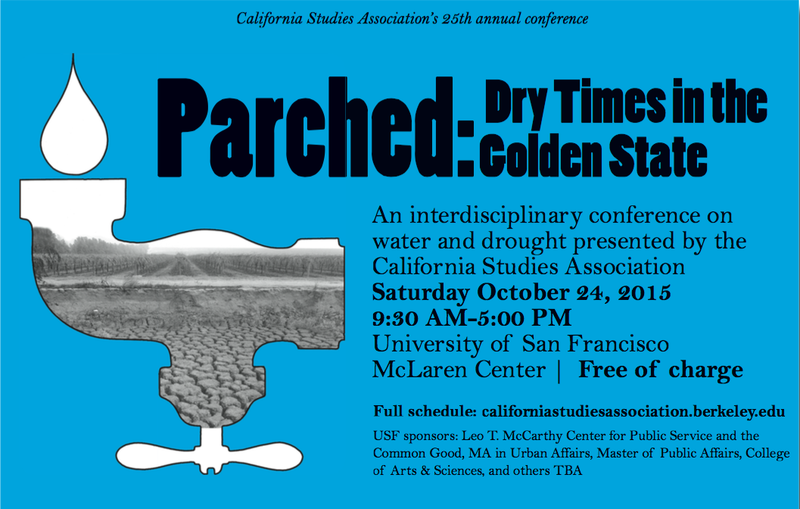 Join us for Parched: Dry Times in the Golden State on Saturday Oct 24 at the University of San Francisco!